While most of us know, a majority of wine is consumed within 24 hours of it being purchased, most vino-sapiens also understand there is a big difference between the “drink now and drink often” style of wines and the type of wines that will benefit from a few more years in the bottle. Once you make the leap from the average wine slurping, box-toting, vino-sapien to the über geeky-collector or the wanna-be-wine blogger, whose pantry is over-flowing, with last weeks haul of must-have and can never get again wines, then you know you’re in need of a serious wine storage solution. 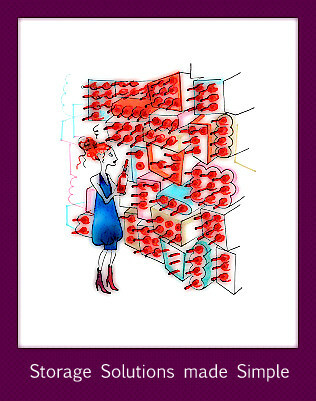 Which begs the question, do you find yourself thinking about wine storage these days? Well if you are, you have most likely been to many of San Diego’s big-box stores in search of the perfect solution. I started my own search in those same types of stores, that was until I started doing a bit more research and found out about a place called the Beverage Factory right here in San Diego. Not only do they have a great website, but if you’d like to see the units up close, which most folks do, ask a few questions in person, poke around, I’d recommend a trip to their easy to find showroom located just behind Miramar Road. Honestly, folks this a wine geek’s paradise, especially when you consider all the other gizmo’s and gadgets to be found there. I would recommend bringing a few different styles of bottles with you to their show-room. Because one of the problems many folks run into with wine storage units, is that they are made to only accommodate the Bordeaux bottle shape [arrgh, frustrating]. As we all know, not all wine bottles are created equal, which means you’ll lose a good deal of bottle-count space to the Burgundy and Rhone bottles shapes, you know the one's I mean, with the flared bell shape, and the deep punt. What ends up happening as a result, you're forced to taking shelves out to accommodate, losing precious space. By the way, getting those shelves out on your own can be a little tricky, ask for a demonstration. So it’s always a good idea, to get a unit on the larger side of the equation, because the ability to organize of your cellar properly will quickly come into play otherwise. The next thing to be concerned with is, where you will put the [monstrosity] cooler, most of them are as large as your refrigerator and since delivery is “extra” it takes at least two folks to get it into your house safely [speaking from practical experience]. It really is a big job. Second it needs to be set up in a place that has very little direct sunlight. Most units have a light reflective glass door, but you’ll be doing yourself a favor keeping it out of direct sunlight. For most of these units, keeping them in a garage is convenient, but it's not recommended, because of the wide temperature swings, that can be found in the average garage. I found another helpful article on the subject from my friends over at Food and Wine magazine and have linked to it here. I ended purchasing an Avanti five years ago, it's still going strong, makes some funny noises now and again, had a bit of a humidity control issue, that I resolved. The funny thing is I ended up storing it in my living room of all places, right next to the fish tank, makes for some very interesting conversations when we have guest over for the first time. Until next time folks, sip long and prosper cheers!